PESHAWAR, (UrduPoint / Pakistan Point News - APP - 16th Apr, 2019 ) :The first Merger Tribal Districts Games will be commencing from April 18 at Jamrud Sports Complex, Jamrud Tehsil, District Khyber under the aegis of Directorate of Sports Khyber Pakhtunkhwa with more than 3000 male and female players in 31 different disciplines would participate. This was stated by Director Sports of the Merger Tribal District Muhammad Nawaz Khan while addressing a press conference here at Media Center of the Qayyum Sports Complex on Tuesday. He was accompanied with Director Operation, Directorate of Sports KP, Assistant Director Sports Nizia Zaki, Games Coordinator in Merger Tribal District Ayub Khan, Sports Manager Awan Hussain, Rahad Gul Mulagori, Deputy Director Amir Muhammad were also present. He disclosed that the female would participate in five different games including athletic, tug of war, badminton, table tennis, volleyball while the male would take part in athletics, archery, basketball, badminton, boxing, cycling, cricket, football, netball, gymnastic, hockey, judo, jujitsu, karate, kabaddi, netball, rugby, tug of war, shooting, tennis, taekwondo, volleyball, wushu, baseball, bodybuilding and weightlifting. He said Games will be organized in all seven districts across Merger Tribal Districts comprising District Khyber, Bajaur, Basketball, Orakzai, South Waziristan, North Waziristan, Peshawar, Kohat, Bannu, Dera Ismail Khan Khan, Lakki Marwat and Tank. He said that Senior Minister for Sports, Culture, Tourism and Youth Affairs will grace the occasion as chief guest. He said there is no dearth of talent and that is why opportunities have been given to the players of Merger Tribal Districts to come and exhibit their hidden talent. He also lauded Director General Sports KP Junaid Khan, Secretary Sports KP Rashad Mehmood and Senior Minister KP Muhammad Atif Khan for their efforts in involving thousands of players in healthy sports activities. He said all arrangements for the smooth conduct of the Games have been completed well in time and hopefully the players would enthusiastically participate. 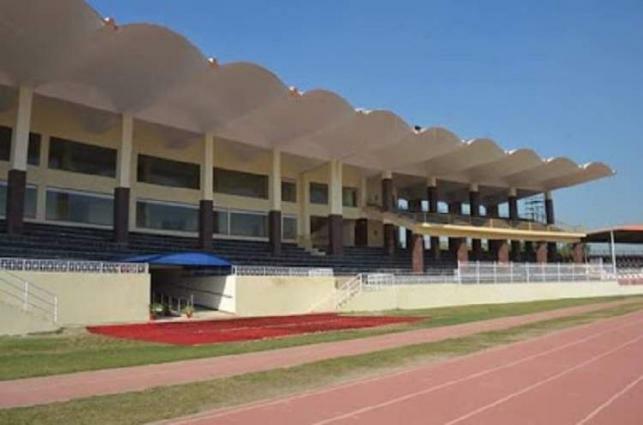 He said the govt is committed to provide much updated facilities to the players of merger tribal districts and that is why initiative has been taken for the construction of playing fields in all 25 Tehsils across Merger Tribal Districts.